OutOfMyBubble. 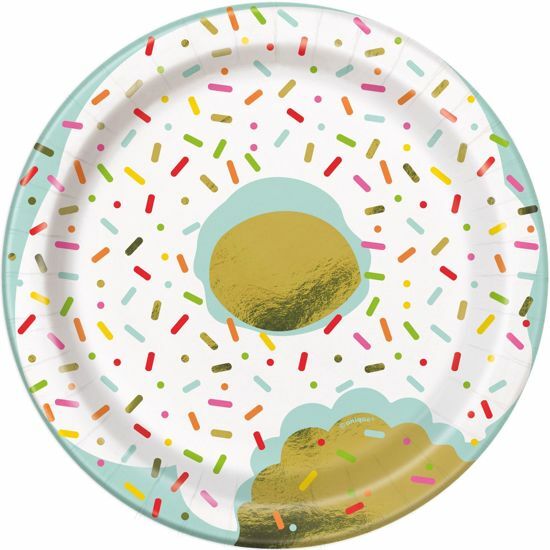 Donuts Sprinkle Lunch Plates 7"
Donuts Sprinkle Lunch Plates 7"
Entertain in style with paper Lunch Plates. These premium paper plates are as in the main photo. Their trendy color palette is suitable for a variety of occasions, including dinner parties, birthdays, and weddings.